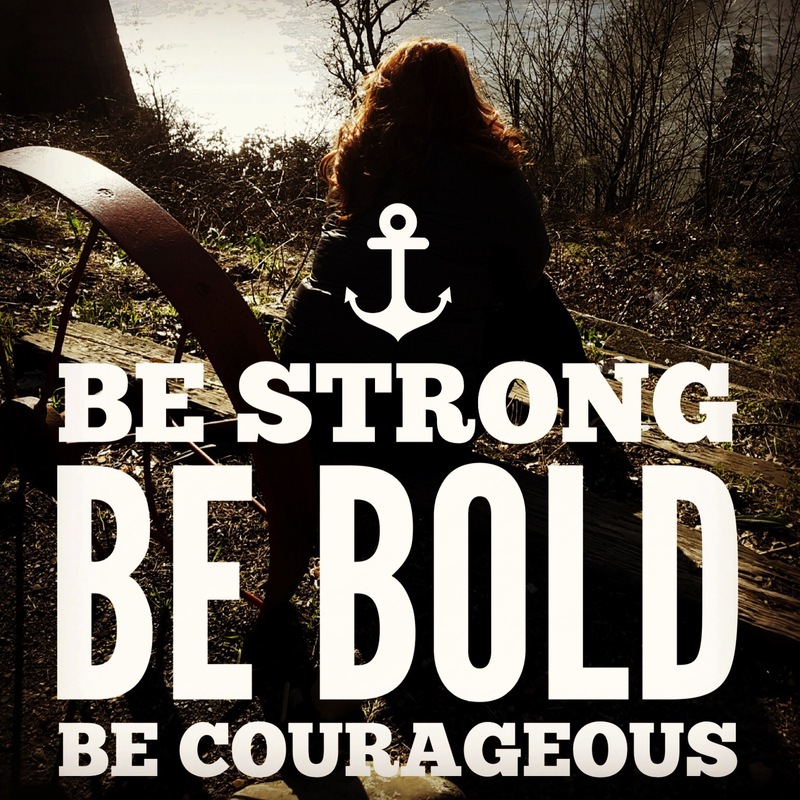 BE Courageous! 5 quick tips to help you conquer your fears. Courage is not the absence of fear. Courage is being brave enough to go for it during those times you are afraid. Conquering fears, by taking BOLD Action is courageous, and sometimes so difficult to do. Write down what you’re afraid of, and then follow through with an action step to overcome that fear. List one task daily that scares you and complete that task! CROSS it off with a great big check mark. One of the best ways to improve your confidence is through experience. When we physically do something and succeed at it, our self-confidence grows, which allows us to be more courageous. 2: Let GO of your attachment to material things! The more attached you are to material things, the more fearful you become of losing those things. This attachment can lead to a lack of courage to make bold moves because of the fear of the risk of loss. Be careful not to allow your things to keep you pigeon-holed when instead you could be spreading your wings to FLY! Stick to your dreams and goals but don’t become attached to your material possessions. Even if you lose current successes you can always rebuild. We live in a world of plenty. Believe in that abundance and your right to success. 3: Rely on your deeper beliefs! Do you have a specific religion? Your own private faith? Do you believe in a higher power? Whatever it is, keep it active and at the forefront. Use it all the time. Awareness of a loving force higher than yourself keeps you grounded in courage. It provides you resolute strength and rooted in faith so that when you’re shaken, you can pray and turn it over to your higher power. For me it’s God and his Agape Love. Move your body. You don’t have to be an Olympic athlete to take care of the temple you were given. We have one life to live and one body to do that in. Take care of it by doing something every day that gets your heart pumping. Walk, ride a bike, take a hike or a swim. Find something you love doing that moves your temple, and get out and do that. 5: Make healthy eating and drinking choices. Reach for water instead of soda. If you love carbonated drinks, find a healthier option than a full sugar soda. I love Stevia sweetened drinks. They are refreshing and better for me. Get in tune with the food choices that healthily provide you fuel. What do you eat that makes you feel your best mentally and physically? What feels right for you and your body? Feed yourself natural sugars instead of refined sugars and make adjustments in your diet to come up with foods that make you feel your best. Find a healthy supplement and fill those nutritional gaps. We all have gaps in our nutrition, which can lead to low energy and unhealthy choices. Find a fuel that works for you and stick with it long enough to have it start working for you. 6: LOVE yourself no matter what. LOVE yourself and be kind to yourself when you have set-backs. Start each day with gratitude and step out into your Joy. Living a soul-filled life leads to more abundance, greater joy, a more significant reach, and renewed confidence. Previous Post The Corporate Cleanse-5 Ways I Detoxed After Quitting My Corporate JOB! The Corporate Cleanse-5 Ways I Detoxed After Quitting My Corporate JOB! Travel, Work and Play! Are you Living Life on Purpose? Living in Thanks and Praise; Even on our darkest days there is an answer.